Morphsuits, so terrifying right now, morphsuits. Relay for Life is a cause near and dear to my heart. Scheduled for April 1st, 2016, it is BC’s largest non-sporting event and has raised over $1,000,000 in donations since its inception on campus, making it the first Massachusetts school ever to reach the mark. This year they’ve raised over $18,000 and need your help for more. Here at Chestnut Trill we like to look at the lighter side of things but cancer is no laughing matter. Cancer does not discriminate; everyone knows someone, whether it be a family member, friend or coworker, whose life has been adversely affected by it. If you haven’t considered joining Relay for Life, do so today. It’s an awesome night filled with performances, games and my personal favorite, food. And for fat guys like me, the best part is that there’s no running involved. 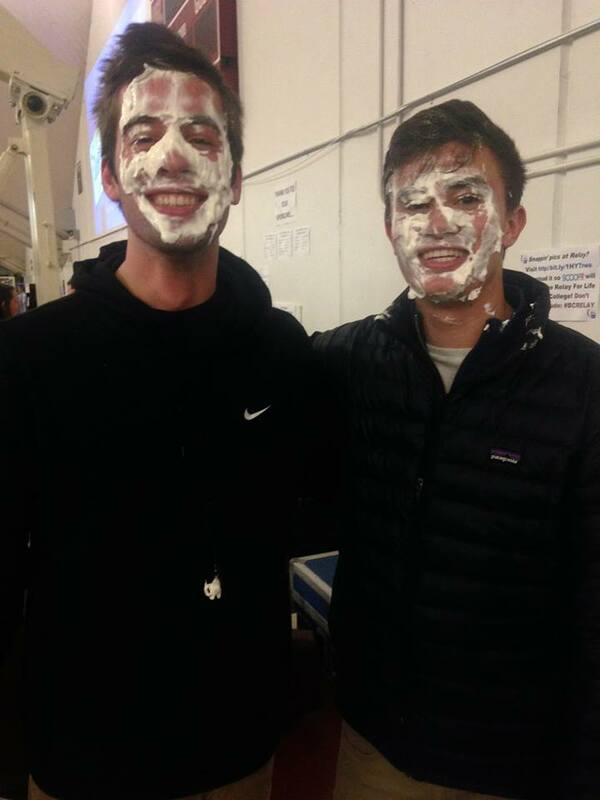 $2/pie to hit your roommate in the face? I’ll take 20. 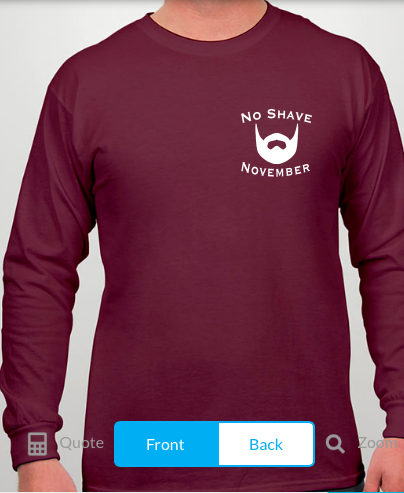 No Shave November begins today and Relay for Life is encouraging the guys of BC to grow out their beards and raise awareness for the cause. If you can’t grow a beard or simply don’t want to, spread the word and buy one of these fire flames shirts for $20. 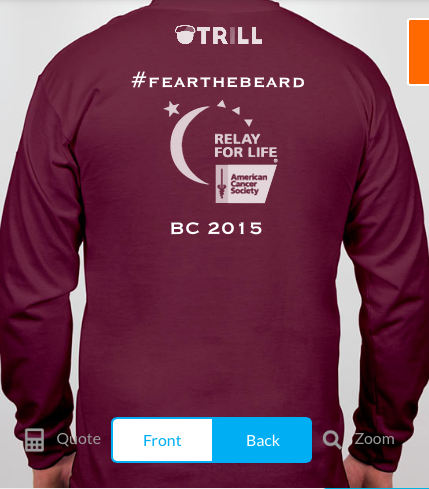 33% of all profits go towards Relay. Feel good about yourself and look great while doing it. What’s better than that? Visit the shop to place an order. 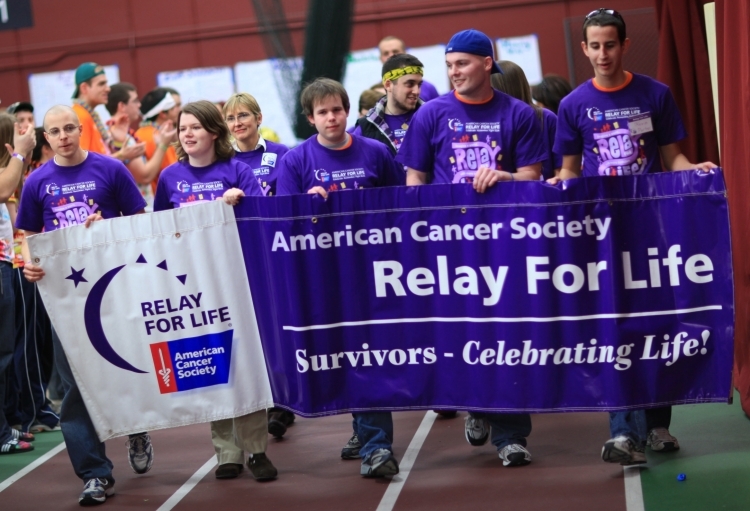 Sign up for Relay here.